Why should you potentiate your kratom powder? How to Potentiate Your Kratom Powder? When should you potentiate the kratom powder? Kratom is used for varied reasons such as mild stimulation as well as in reducing pain. However, it may not be practical to use the leaves alone due to its unpleasant taste. For this reason, most people have opted to potentiate the kratom powder doze. The potentiating in this case helps to boost the potency of kratom hence making a small amount of kratom powder to be effective. There are different kratom powder potentiators that you may engage depending on the taste you would prefer. It lengthens the effect of the powder in the body hence making it effective. It you are taking the powder to relieve pain, the effect can be felt for longer time hence no need of thinking about an overdose. It makes it bearable to consume the kratom powder which has an undesirable taste. It is the best way to reduce the bitterness of kratom. It boosts the digestive enzymes in the stomach to digest the kratom. To potentiate kratom is to boost the effects that you expect from kratom. There are many methods which you can engage and be sure that you are going to get the best results. If you potentiate the kratom, it will be needless to take a higher dosage since the small dosage you take will still work well for you. Just combining the dosage with some foods and herbs would give you good results. This applies to both the beginner and the seasoned user. If you use herbs, chances are high you will not have side effects. To achieve this, there are different potentiators that we can talk about. When you use turmeric together with kratom, it can boost the effectiveness of your kratom. One fantastic thing about turmeric is that it makes the kratom to last longer both in the body and on your shelf before being used. The taste is also excellent, and so you can have a try. Yes, you hear the name and probably fear taking it because of the taste? Do not worry, it all depends on the amount you opt to use. For this spice, you only got to mix it with dry kratom dose then take it together with water. Take keen notice to measure an amount of the pepper that you can actually take in without having to shade tears. Just a bit is enough. Otherwise, you may end up hating yourself. Note that the pepper only boosts the potency but not time. Grapefruit have a strong enzyme ability to break down the elements in the kratom. It, therefore, boosts the retention of Kratom in the body. If you are the type of a person who takes more of fruits for breakfast, this is the option for you. Even if you take in the powder in grapefruit juice, the results will still be the same as for the person who takes it in with the grapefruit as a whole. You can choose what you think can work for you. This is one of the best kratom powder potentiators. It boosts the relaxation effect of kratom. With it, you can have a very long experience of each dose of kratom that you take. However, it may not be the best potentiator for you in case you are taking green or white strains of kratom since it may weaken you yet you are taking the kratom for energy. Research has shown that lettuce, from which the watercress is obtained, has heavy minerals which could be used in making a cocktail. It makes the kratom doze to last longer than when it is just taken alone. The good thing with watercress is that it does not come with a spikes effect. The seeds are big that you cannot swallow. Therefore, you got to grind the grain, typically 1-3 of the seeds in each kratom doze. After grinding, you can mix it all together and take with water. Well, it is bitter. So do not taste it for you won’t take it at the end. Just gulp once or twice and let the bitterness burn when it is already in the body. The bitterness will not last for a day, only a second! This is a very popular supplement which can easily be obtained from any herbal market. It works best with kratom powder for people who desire relaxation and peaceful sleep. The combination of the supplement and the kratom powder can also help in releasing stress as well as enhancing the euphoric experience. Caffeine can be obtained from tea or coffee. Alternatively, you can get it as a component in the market. Taking this supplement with kratom increases the cognitive function of the user. If you want to stay awake for a longer span of time, this is the best supplement for you. Cat’s claw has alkaloids which are almost the same as the ones found in kratom. This makes the two to go hand in hand without affecting the user. Actually, it has a double content of alkaloid as the content in the kratom. This makes the effect to be more diversified, and so the results can be amazing. This is another potentiator which works. 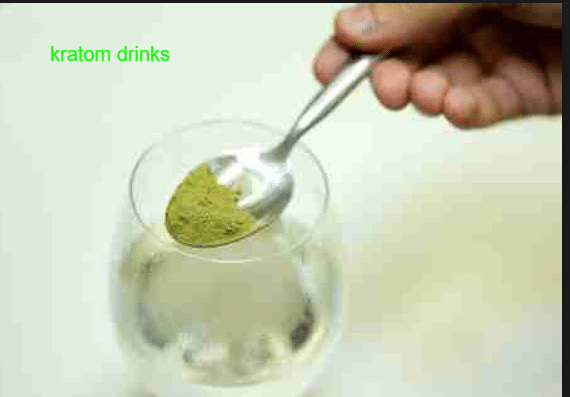 You got to mix the kratom powder with the chamomile tea to experience the relaxation effect of kratom. The tea is tasty, and so it is possible to take your dose without fearing the unpleasant taste of kratom. Valerian root is a good booster for sleep. 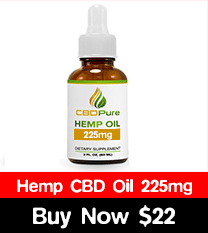 It is typically used on people experiencing pain so that they get to have a peaceful sleep. It also reduces anxiety. When you use it together with kratom, you end up enjoying the relaxation effect. It is out of this strength that the combination can be used to treat insomnia. Turmeric has an adorable taste and smell, and so it can be used to reduce the unpleasant effect of kratom. Combining the two also helps the dose to last longer than when kratom powder is taken alone. Gabapentin is known for treating epilepsy. However, it can also be used as a potentiator. It helps in generating a relaxation effect. If you are using kratom dosage to reduce pain especially on the joints and in the leg region, this potentiator can be the best for you are you will feel relaxed in the joints. As said before, kratom can be used as a source of energy. Agmatine sulfate is also used to provide energy. This makes the combination to be effective in producing energy. The good thing about this potentiator is that it generally reduces the tolerance level of kratom. Grapefruit happens to be effective because it contains enzymes which are responsible for breaking the components in the kratom. This allows the kratom to stay longer in the body. Just a single grapefruit is enough to enhance the potentiating effect. When you use magnesium with kratom, the tolerance that you might have developed out of using kratom is reduced. Therefore, it places you at a better position to gain from using kratom even though you might have acquired resistance. It also helps in relaxing your body. Did you know that kratom and caffeine belong to the same family? If you want to gain much energy from the use of kratom, is advisable that you use this supplement. It works. Phenibut is used mostly to reduce anxiety but keeping the cognitive ability of the user. It also helps in balancing emotions. It, therefore, aids in potentiating the relaxing effect of kratom. If you are using kratom to feel relaxed, then this is the best potentiator that you should opt for. However, if you choose for it, do not take it in large amounts since it can cause nausea when used in large quantity before you develop tolerance to it. Combining Tianeptine and kratom may act as the best dosage for depression. However, you should avoid taking the combination frequently. They may cause tolerance very fast. Tianeptine is also said to be addictive, and so it should be used sparingly. Every time you want to take a kratom powder, you should potentiate. The fundamental reason for this is to ensure that the dose you take becomes active on your body. However, when you have to take a considerable dosage of the kratom, you may have to mix the powder with the potentiator of your choice then allow it rest for at least a half an hour before you ingest the mixture. By doing this, you are merely reducing the chances of having side effects. The frequency of taking the dose should also be spaced so that your body can function normally without many external destruction. Basically, different people have a different metabolic rate. This is why it would be difficult to recommend a given way to potentiate kratom powder for all. The choice for what may come out to be the best way depends on what exactly an individual wants to get from kratom. Based on the different potentiators that you would think of, you should try what will not make you hate your life. Kratom on its own is not pleasant to the tongue. It would be unfair if you used a potentiator of your worst taste. If you love the grapefruit, you can use it, but if it is not pleasant to your liking, just avoid it. However, it is not advisable to use more than two compounds of kratom. In case you do, you may feel uncomfortable with yourself like being nauseated. Additionally, the use of more than two components may result in too much sleep even days after taking the dosage. However, if by chance you need an intense effect, then you can try using two components but do not exceed two. After using different potentiators, you can be in the best position to know which potentiator can work best for you. Do not compare yourself with other people or even admire their results when they used a given potentiator. Fix yourself onto what is best for you. Generally, the use of herbs like turmeric gives a better result than the use of chemicals like aluminum. It has to be natural if you want to avoid side effects. Probably you are wondering where you can buy kratom powder and some of the potentiators discussed in this article. That should not worry you. The products are cheap and so you will be guaranteed to get the best strain of kratom that can work for you as well as the potentiators which you can even buy online. We highly recommend that you use this natural way to solve some of your problems like chronic illness. Do not hesitate to contact us. Previous PostRed horn kratom Dosage And Euphoric Effects different from red Borneo?